Another week has flown by under the radar. It was thrust upon us by the mechanics of the celestial sphere. It was brought to our attention that last week, we inadvertently missed a reading for Capricorn. The person and/or persons involved have all been fired and are now holding handmade signs at street corners across the country begging for money or a good tip on a winning horse. This week’s concoction includes: false eyelashes, a peculiar calendar, and the ever-popular colander. Aries… Uranus is in opposition with Aries and on the cusp of Leo. That always brings trouble for an Aries. In the future, your enemies will try to take your breath away. They won’t succeed, but you’ll wheeze a lot afterwards. Taurus… Saturn is in tri-modal position now. That’s never good for a Taurus. Sometime in the future, you will fall into a gorge or gorge yourself. Either way it will be painful. You will end up in an emergency room. Gemini… Mercury is tri-modal at this time. That’s not a good sign for a Gemini. One day, your enemies will attempt to make out of focus. They will be unsuccessful; however afterwards you will have the compulsion to wear false eyelashes. Cancer… The Moon is in opposition to cancer and on the bias. That spells trouble for you. In the future, you will either meet the Dali Lama or Dolly Parton. In either case, your intentions will be misread. You’ll be handed over to security, where you will receive a severe tongue-lashing. It will be wet and smelly, like Dennis Miller. Leo… The Sun is in his fifth house having some solar panels installed. It’s not going well. That’s not good for you. Someday, you will become a matchmaker or a mess maker. Either way it spells trouble for you. Virgo… Venus is in post-peripheral position now. That’s never a good sign for a Virgo. In the distant future, you will invent a new kind of eyewash. The business will eventually fail after you’ve been sued a number of times by customers whose eyes have been injured by the spinning brushes and the caustic soap. Libra… Mars is in di-helical mode now. That will only bring you trouble. In the future, you will see photos of your face on a calendar…from the late 1800’s. It will shock you and it will produce many unanswerable questions in your mind. You will become a hermit and ponder on it while living in a cave. Scorpio… The Earth is in plexi-orientational mode now. That’s not a very good sign for a Scorpio. In the future, you will have the compelling urge to call the police and hysterically shout, “My underwear has been kidnapped and is being held for ransom.” You will be escorted to a mental hospital. Sagittarius… Saturn is in poly-dicential mode now. That’s never good for a Sagittarius. In the future, you become obsessed with the idea of inventing a colander that will put a strain on peoples’ relationships. You will be ridiculed. 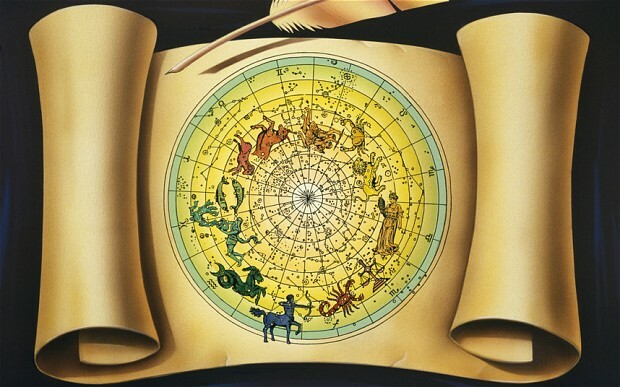 Capricorn… In the future, you will become a famous debunker. You will actually prove that you do not exist. People will think you are weird and avoid you. Aquarius… Jupiter is in misalignment with Mars. That always foretells problems for an Aquarius. In the future, you will be obsessed with the idea that you will become royalty as soon you install crown molding in your residence. Everyone will think you are weird. Pisces… Neptune is in quasi-directional mode now. That’s always bad for a Pisces. In the future, you will become muscle bound, or homeward bound. It could go either way, but it will be painful. Good day to all you wonderers of wonderment. We have scraped the bottom of the barrel and came up with another list of lunacy. This week’s recipe called for: dinner rolls, squinting, and the ever popular, Rudyard Kipling. Let’s get to it quickly before the pain sets in. Aries… Pluto is in high axial mode now, and on the cusp of Aries. That’s usually a bad sign. In the future you will petition the Pentagon to use fabric softener on all military hardware to make it easier on the troops. Eventually, they will ban you from all of their installations. Taurus… Uranus is in double equinox now and in opposition to Taurus. That’s not a good combination. In the future, you’ll find it handy to have a few hand grenades around. It will be part of your explosive personality. Have fun with that. Gemini… Mercury is rising at an alarming rate and square with Gemini at this time. That’s not a good combination for a Gemini. In the future, you’ll become confused. You will try to make a large deposit of dinner rolls into your account at a banquet. People will ridicule you. Depression will set in. At least you won’t go hungry. 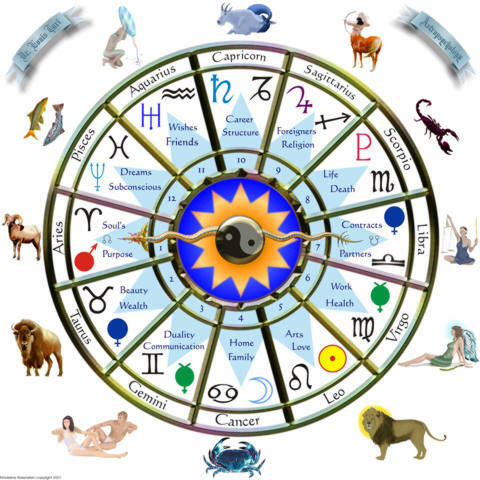 Cancer… The Moon is quadra-helical at the moment. That’s not a good sign for you. In the future you will lose a wig while wiggling in a wigwam. You will be greatly embarrassed. Native Americans, and belly dancers will shun you. Sadness will set in. Leo… The Sun is in marginal aspect now and in opposition to Leo. That will bring your trouble. In the distant future, you spend many hours and lots of money writing a book called, ”How to Squint for Fun and Profit.” Your only customer will be Dennis Miller. Afterwards, you will become sad and lonely. Virgo… Venus is in tri-diaxial mode and in opposition to vertigo. That’s not a very good sign for a Virgo. In the future, whenever you meet someone, in any situation, you will say, “What’s all the folderol?” People will think you are weird and avoid you. Libra… Mars is in lower opposition to Libra now and on the cusp. That’s a terrible sign for Libra. In the future, you will be very distraught when someone tries to pick your pocket…with an ice pick. Ouch! Scorpio… Saturn is in dihedral mode now. That indicates trouble for you. In the distant future, you will model prison clothing while on a cell phone in Cincinnati. The stripes will make you look short and fat. You will not be happy about that. Sagittarius… In the distant future, you will become a squirrel whisperer. You will spend many hours sitting in trees talking to squirrels. Eventually you will be put in mental institution. You’re only visitors will be squirrels and the occasional chipmunk. Capricorn… One day in the future, you will fall in love with a lawyer who will turn out to be a liar. Most of the time, the lawyer will lie about lying. Your life will be ruined. Aquarius… Neptune is in opposition to Aquarius and bi-modal now. That’s never a good sign for an Aquarius. In the future, you will either become engrossed in Rudyard Kipling, or fascinated with stippling. In either case, in the long run, it will be very boring for you.